India has a rich history in terms of food and culture. The variety in the Indian food is due to the influence of the countries like Egypt, Greece and Rome due to their trading relations with our country. These places influenced India with a lot of herbs and spices like Fenugreek, Fennel and Saffron. These are the spices and the herbs which we Indians are addicted of using even today in our day to day cooking and thus making India a rich country in terms of food and culture. It was after the independence that a small group of people moved to Kolkata, India and started living there and thus they brought a new cuisine to India which was popularly known as the Chinese cuisine. It did not take it too long and this new cuisine flourished its roots in the different parts of our country.Although the cuisine was twisted and a bit of Indian Tarka was added to it making it Indian Chinese cuisine. Thus two types of Chinese cuisine came into existance in India “The Indian Chinese Cuisine” and “The authentic Chinese Cuisine”. These cuisines found its way in almost every part of India and especially in the West and the South and we can easily find a lot of restaurants. Today the Chinese cuisine has become a part of our own cuisine ans we have accepted it whole heartedly. The Chinese cuisine can be found in form of fast food or in authentic tastes or in a mixture of blended Indian and Chinese flavors and to be very proud we have done it far better than China. Like every other place in India Bangalore the Silicon city has also been a hub for this cuisine and people are very well found of the dishes that the cuisine serves and offers them. 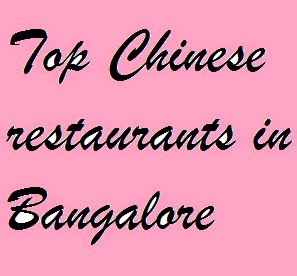 There are few of the best Chinese restaurants in Bangalore and they have pledged to provide customers with the best quality Chinese Cuisine in Bangalore. Few of these restaurants are Bean Here Restaurant at M.G.Road, The Nawab Restaurant at the palace road, New Kadai Family Restaurant at Jakkur Post, The Himalayan Inn at Indira Nagar, Shandong Authentic Chinese Restaurant at Geddalahalli, The Oriental Kitchen at Koramangala, Darasuni Restaurant at RMV Second Stage, Oriental Cuisine at Koramangala, Faragrant kitchen at Kalayan Nagar, Munch at JP Nagar and many more restaurants could be easily found in Bangalore. We Indians are fond of food and Chinese food has been a part of it since long. We eat and eat and eat all it matters is the taste the food provides and nevertheless Chinese food has a great capability of binding the Indian taste buds and it is the main reason that the Chinese cuisine and the Chinese food has been a favorite part of our life and we can find good Chinese Restaurants in Bangalore and the other parts of India.